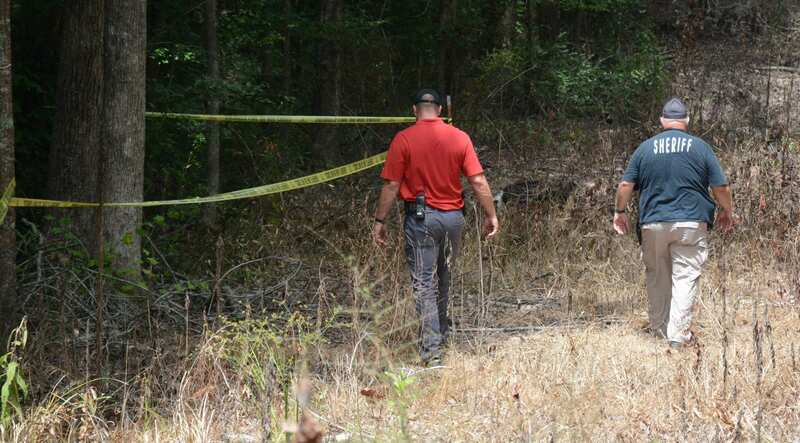 Bossier Sheriff’s Office detectives called off their search Thursday for possible human remains in Red River Parish that involved one of Bossier’s missing person’s cases. However, Bossier detectives are continuing their investigation and encouraging anyone with information to speak up. A tip received by the Red River Parish Sheriff’s Office earlier this week led Bossier and Red River detectives and deputies on a nearly three-day search in a wooded area just behind an abandoned trailer home off of Highway 507, about 11 miles south of Coushatta on Highway 71. The search began just before noon July 25 and was called off around 11 a.m. July 27. When deputies began their search on Tuesday, they had to clear the wooded area just behind the house. They then diligently and methodically sifted through the soil and ground area. Sheriff Whittington dispatched the Crime Scene Investigation team, Mobile Command bus and patrol deputies to the scene off of Highway 507 to conduct the search and have a place where deputies could have a cool place to break and eat during the hot, humid days. They worked from daybreak and used portable lighting to keep searching until around midnight Tuesday and Wednesday. They were hopeful something would turn up to help provide a break in the investigation. Contact the Bossier Sheriff’s Office at (318) 965-2203 or your local law enforcement agency with your tips. You can also leave your anonymous tip at Bossier Crime Stoppers at (318) 424-4100.